World-class improvements have occurred at the Lyons Township High School’s South campus. 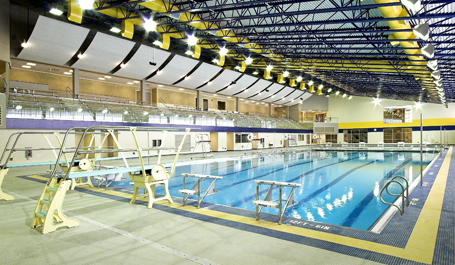 In 2006, the high school added a new aquatics center for student and community programming use. Dalquist & Lutzow Architects sought the aquatics expertise of Counsilman-Hunsaker to design the natatorium. The generously proportioned pool allows for advanced swimming and instructional classes such as lifeguarding, snorkeling, kayaking, and other aquatic fitness programs.